ABOUT: Bully is a chunky handsome cob. He is learning long reining and lungeing in preparation for his ridden training which will commence in spring 2019. On the odd occasion Bully likes to mess around being caught (normally when he’s having too much fun with his herd chums) but generally enjoys a fuss. He loves his food and due to his solid frame his weight may need to be monitored. 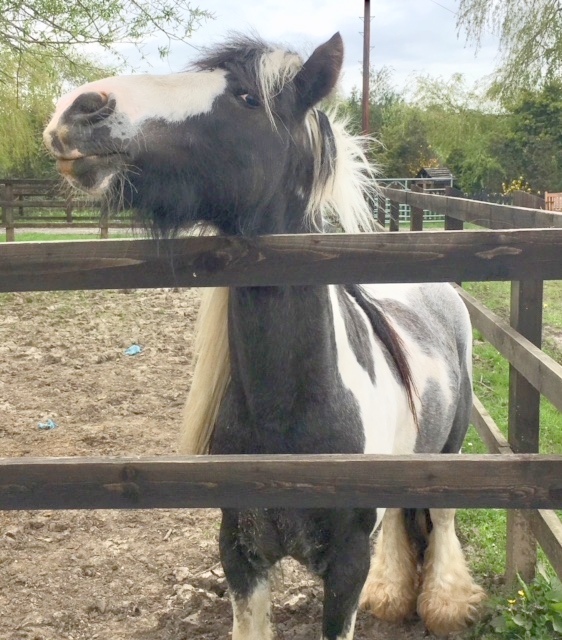 HISTORY: Bully came to EHPPS in March 2018 after being found running round the country lanes as an entire stallion with a tether attached to his neck. No microchip was present on running the scanner over him and nobody ever came forward to claim him. He settled into the sanctuary and was soon gelded. He also required training to help with the farrier who stated he wouldn’t have been surprised if Bully had never actually received a trim in his life and that his hooves had chipped naturally.